Your child cannot be calmed down due to excessive crying (he or she cannot be consoled). 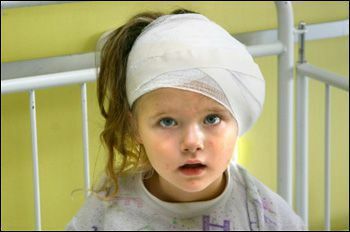 Also, head injuries in children can be tricky too, because they sometime only appear later given that the head is still forming; particularly the frontal lobe portion of the skull. However, as will all head injuries, the tips listed here are important and one should have a good idea of what to look out for when dealing with this type of head trauma.